I am so thrilled to welcome Amberly Lago to the blog today! I read Amberly's book TRUE GRIT & GRACE in a matter of days and was so inspired and moved by her story. This is a book that will change the way you see yourself and the world -- it will open your eyes to the possibilities before you, and will help you tap into the grit and grace inside yourself. Amberly was kind enough to stop by the blog today (in the midst of her busy schedule and book tour!) to answer some questions about not just writing and publishing, but also strength and resilience. Grab a mug of tea, turn off your cell phone, and sink into her insights and words of wisdom. It is such a pleasure to present to you... Amberly Lago! Can you tell us about you that you’d like the readers to know? I was an athlete and professional dancer turned fitness trainer when a horrific motorcycle accident severed my femoral artery and shattered my right leg almost beyond repair. Months in the hospital and 34 surgeries—along with plates, pins, and sheer will—eventually spared my leg, despite the initial recommendation to amputate. As a result of the trauma, I was diagnosed with an incurable nerve disease called Complex Regional Pain Syndrome, dubbed “the suicide disease” because it is ranked highest on the pain scale. But giving up was never in my wheel house. By embracing gratitude, acceptance, and self care, I found the ability to thrive despite living in constant, chronic pain. I started sharing my story of hope and inspiration to small assembled crowds and then before I knew it, I was being asked to speak at conferences, schools, and institutions. My heart was instantly filled with joy the more I shared my story and made connections with others. Although I had never written a book before, I was passionate about writing my story in hopes of giving others a shift in their perspective and to leave them believing in themselves a little bit more. 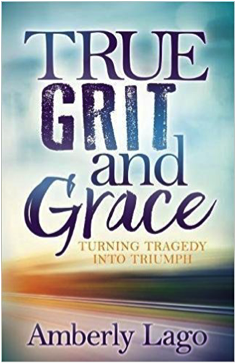 I wrote True Grit and Grace: Turning Tragedy Into Triumph and it was published earlier this year by Morgan James Publishing and launched on the Megyn Kelly TODAY Show. Take us through your writing and publishing process. The thought of writing a book was a little overwhelming and I knew I needed help. Although I always did well in school, I didn’t even have a college education. I started asking around if anyone knew of a writing teacher. Three different people told me about an incredible teacher named Jack Grapes. I looked him up and enrolled in his Method Writing class. Method Writing is an organic approach to the creative process, a way of finding your deep, authentic voice. The Method does not take the traditional approach, which emphasizes structure and form; instead it focuses on truth and organic process. Method Writing deals with the inner voice and how it can be used to create unique works of art, true to your own voice and style, true to your own vision and point view, and true to your own life experience—whether writing a book, poem, recipe, Instagram post, or ransom note. So along with writing every day in my journal, I made an outline for my book, and used Jack Grapes Method Writing class as a way to start writing. I wrote every day, even if it was just a page, and it took two years. I had to find the time to write between working, being a mom, being a wife, and trying to have any kind of social life. There were a lot of days I just wanted to keep pushing the snooze button, but I would wake up at 4:30 every morning to get my writing in before my day officially started. It took a total of two years to finish my book, and then came time to find a publisher. I attended a conference called “Author 101” where I learned about everything from publishing to marketing and literary agents. Although I left there feeling even more overwhelmed, it’s also where I ended up finding my publisher. My favorite thing about writing is getting things out of my head and onto the paper. When I was in the hospital and stuck in the hospital bed, writing was a way of coping with my situation. I opened my journal and immediately began a gratitude list—that is, all the things for which I was grateful. So instead of staring into darkness, I focused on what was light in my life, and as the list grew longer, the less depressed I became. This was my medicine and it worked. Psychological depression, as opposed to biochemical depression, doesn’t occur in a vacuum. It occurs in negativity, when “what I don’t have” seems greater than “what I want to have.” We human beings rarely know how to value what we have until we lose it. And I was determined to beat those odds by listing and acknowledging all my blessings. Gratitude turns denial into acceptance, makes sense of our past, brings peace for today, and creates hope for tomorrow. Writing a gratitude list keeps me in a place of gratitude, and when you are grateful you don’t have room for self-pity. Writing down all my emotions is healing and takes me out of my head and keeps me in my heart. Your writing is so authentic, honest and vulnerable. How do you push past fears, doubts, or self-criticism that is inherent for so many of us in the creative process? I try to write like I speak—straight from the heart. Sometimes I will read a post I have written for social media and I think to myself, what was I thinking writing that?? But it is how I was feeling at the time. I have found when you own your story and accept where you are on your journey it strengthens your resilience and allows you to make meaningful connections with others. Plus, it’s much easier to write when you are just keeping it real and letting the words flow. Do you have any advice for other writers, or for anyone going after their dreams? Write from you heart and write vividly, using all your senses. Keep it real. I think readers can smell when you aren’t authentic. I started writing my memoir like I was telling a story and it was less intimidating for me to get started. The secret is to just get started. This is your perspective on life and events, and if you can share what you think, feel, and have gone through, others gather the wisdom and benefit of your experiences. No matter what, keep writing every day. Can you share a few of your favorite books or authors? One of my favorite authors is Brene Brown and I love her book The Gifts of Imperfection. I start my day by reading several of my favorite spiritual books to center me before my day gets crazy. Some of those books include Each Day a New Beginning: Daily Mediations for Women, published by Hazelden; I’ve Been Thinking: Reflections, Prayers, and Meditations for a Meaningful Life by Maria Shriver, and The Wisdom of Sundays by Oprah Winfrey. My two daughters inspire me to be my best and my biggest motivator is anyone who tells me I can’t do something. I am still on my book tour and have one last stop in Charlotte, North Carolina at Barnes & Noble. Next I will be delivering a keynote “Claiming Your Resilience When Living In Chronic Pain” at the annual RSDSA conference and also leading a 5K fundraising walk “Fight the Flame” to benefit those diagnosed with CRPS. I am launching an online inspirational fitness course soon, and my dream is to do SuperSoul Podcast with Oprah AND a TED Talk—Hey! I always say if your dreams don’t scare you, then they aren’t big enough! What I have learned is that life is a series of choices we make regardless of our circumstances. I could either make the choice to give up and let my life be determined by my circumstances, or fight to create something positive out of my situation. My choice is to notice the gifts life offers, which are particularly plentiful when you look for them. I believe in seeing the good in every situation and learning form it. I believe we can have the life we always imagined, even if our circumstances have narrowed our possibilities. My sincere wish is that my book will help each reader claim their own power and belief in themselves and their dreams, and find their own resilience to move forward and choose a life filled with laughter and love, even when things don’t go as planned. We can’t choose what life throws our way, but we can choose to be happy and live a full life, despite our circumstances. Through our trials, we can embrace our challenges, connect to our innermost resilience, and change our perspective on life. We are strong, but together we are unstoppable. I am delighted to feature an interview today with talented young author Macy Li. 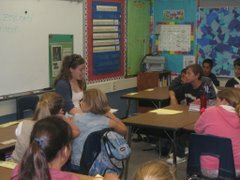 I have known Macy since publishing her short story "Teaching Helen Keller" on Word Smorgasbord two years ago. She was a superb writer then, and I have been amazed at how her writing continues to grow and evolve ever since! Macy just recently published her first book, a fabulous collection of poems, stories, essays and plays titled Shards. (Order your copy on Amazon here!) Macy has won many writing contests, including: Gold and Silver Keys in the Scholastic Art and Writing Awards, Honorable Mentions from Stone Soup magazine, the Best in Class Award for the Growing Up Asian in America Contest, first place in the Art Tales Writing Contest, and prizes in the Palo Alto Writing Contest. Next week, she will be featured on the Palo Alto Podcast. She was kind enough to stop by the blog today to answer some questions about her writing process, finding inspiration, creativity, and more! Hi Macy! What would you like readers to know about you as an introduction? 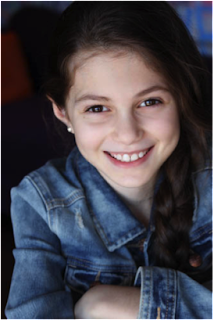 My name is Macy Li, I’m thirteen years old, and I grew up in Sacramento, California. 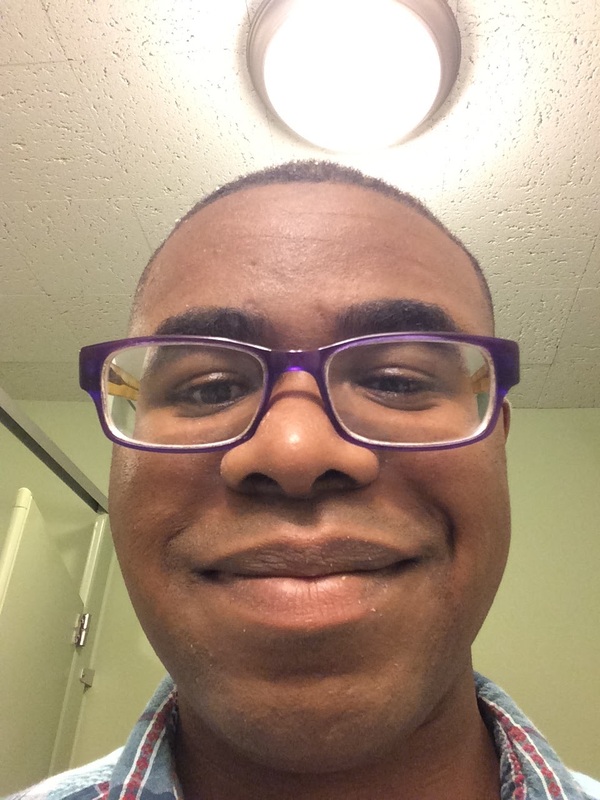 Other than writing, I enjoy playing piano, dancing, and reading. I’m also interested in biology and Latin. My favorite genre to write is poetry, because of the amount of emotion and meaning that’s able to be expressed in every line. Take us through your writing process when you were creating Shards. Shards is my collection of poems, stories, and plays, consisting of pieces from a year ago until recently. Each piece started out as a spark, an idea, a message that I wanted to share. I laced my thoughts and feelings into tales, hoping to express them in abstract ways that I loved. And so sometimes my words flowed into poems, stories, and plays. Other times, my pieces just didn’t work out. But through these experiences, I came out with a collection of my writing that I felt expressed the most of my emotions. Each word is like a shard, a hint to something bigger, completing my collection. My favorite thing about writing is that I can do anything with it. In the real world, there are people I can’t stand up to, things that I can’t do, and lives that I can’t have. But when I write, anything is possible for me. When I write, I finally feel free -- I feel happy. When I write, I escape from reality and drown in my own world. The bottled up emotions spill out, and I can paint worlds from my imagination. Sometimes, I feel weak and lost in reality, but writing gives me a power: a power to create. Writing is something I love. You write in a variety of different genres -- poetry, short stories, drama, nonfiction. When you get an idea, how do you decide what form it will take? When I get an idea, I think about which way it would be most powerful when presented. Some ideas are stronger as plays, others as poems, others as stories. I like to use poetry to communicate more abstract ideas and feelings, and I like to write plays to create closer connections between the characters and readers. I use stories to tell more vivid tales, ones which I like to pack a lot of description and emotion in. Do you have any advice for other writers, or for other young people going after their dreams? I want anyone who’s interested in writing to know that in every piece of writing, there is always something special and beautiful about it, because reading someone’s writing is like hearing someone’s words from his or her heart. These words are special and amazing. My advice is to just let go when writing. Just relax and let whatever’s on your mind spill into a story. In order for your words to come out, they have to come from the heart. Never be afraid to write out your feelings into tales. Some of my favorite books are The Book Thief by Markus Zusak, To Kill a Mockingbird by Harper Lee, and Mapping the Bones by Jane Yolen. I like to read historical fiction, realistic fiction, and a little bit of science fiction. I’m inspired by happiness, laughter, and love. I’m inspired by failure, rejection, and hurt. I’m inspired by mean people, by nice people, by people who make me cry, by people who give me hope. I’m inspired by the words people say, the feelings people feel. I’m inspired by anything that fills me with emotions, thoughts, and ideas. I’m continuing to write poems, stories, and plays of all kinds, and simply enjoying the art of writing. I hope to be able to compile another collection soon. Never give up, because there is always hope until you give up. This is the most important thing I’ve learned. If you want to do something, you can do it. There is always a chance. Dear readers: you can purchase your own copy of Shards on Amazon here! Interview with E.K. Baer about her New Collection! Talented young writer E.K. 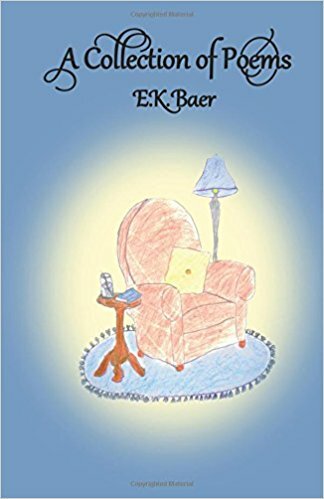 Baer has recently published a new collection of poems titled Down the Road (which is available on Amazon here -- there's even a Czech edition!) This is a stunning collection that showcases her continued evolution as a poet, and her fresh insights and wisdom about the world will blow you away. And, in a testament to her compassionate soul, E.K. is donating all proceeds from book sales to charity. Buy one for yourself, and buy a copy for a friend, too! E.K. was kind enough to stop by the blog today to answer questions about her writing process, how this second collection differs from her first, and where she finds inspiration. You can also read the interview she did with us after publishing her first collection of poems here. Congrats on this beautiful book, E.K.! I am so proud of you. Take us through your writing process when you were creating Down the Road. Was this a different experience from writing your first book, A Collection of Poems? When creating Down the Road, it felt as if I was suddenly ready to address all of the difficult and sad situations that I have been through over the years. When I was writing the poems of A Collection of Poems, I wasn’t really ready to go there. So, writing Down the Road was a very cathartic experience. To you, what is the hardest part about writing? Do you have any advice for other writers who might struggle with this? The hardest part for me is the time when I am inspired, but am not quite able to find the right words to weave into a poem. What helps me is to write down the thought, get up, walk away, and come back to the poem later. Personally, if I push myself to come up with something when it doesn’t flow naturally, I’m not happy with it in the end. What is the most fun or magical part of writing, for you? I love being able to weave my dreams into a sort of reality in front of me. Also, when I write I strive to make all the difficult times in my life relatable, and I feel better, in a way. How do you think you have grown as a writer since your last book was published? I feel that, having read more of other people’s poetry, I have changed my style a little bit, and write a bit differently than I used to. I now feel more comfortable digging deep and letting the emotions tangled up inside of me come out. Can you share a few of your favorite poems or poets? Robert Frost, "A Time to Talk"
What nourishes you and fills up your creative well? I am inspired by everything around me – the way the trees wave in the wind, the way the crickets chirp, all in all how beautiful the world can be. I come up with a lot of my poems just by looking out the window! Also, I try to turn my life experiences into a relatable form – poems. Can you give us a peek into your writing routine? I really do not have a very strict writing routine – I write when I feel inspired, which is almost every day. Many days I write several poems/short stories in a day, and other days I just write one. This summer, I was fortunate to travel a lot and see other cultures and places, which gave me a lot of inspiration. Currently, I am working on more new poems and a few short stories. I hope to create another book soon! When writing, I feel one needs to have people around who support you and your craft. For me, one of those people is Ms. Woodburn. She is always encouraging me and guiding me through my writing journey. Thank you, Ms. Woodburn! Aww, it is my pleasure! Thank you E.K. for taking the time to join us today and to share your beautiful thoughts on poetry and writing. I met Daniel Williams years ago when he reached out to me as a curious young writer. Since then, we have become good email buddies and pen pals, and I am so proud of how his writing career continues to blossom. His work was featured in Dancing With The Pen and he self-published his own book Brothers Stand Strong a few years ago. Now, his new book titled This is Dan will be released soon. Daniel was kind enough to stop by the blog today to answer some questions about writing, publishing, and following your dreams. Welcome Daniel! What would you like readers to know about you as an introduction? My name is Daniel Williams and I am 25 years old. I was born and raised in Fort Wayne, Indiana. I graduated from North Side High School in June 2011 and attended Ivy Tech Community College back in January 2012, but left in May 2013 due to personal reasons. My hobbies are reading books and writing my own books. I like going to movies, walking in parks, going to festivals, and spending time with family and friends. What people don't know about me is that I can dance, I can cook and I can bowl as well. How did you get your idea for This is Dan? Take us through your writing process. I just started writing out my ideas out on paper. All I needed to say about myself. I wanted to write my life story out on paper and let readers know who I am. Let them know who the real Dan is. I started writing the book in January 2016 and just kept writing it. It took me two years to write it, and I finished in January 2018. Now, I am in the process of editing and doing the finishing touches to the book. I like writing mostly because you get to tell a story about what you want to talk about. You are in control of what you write and you can give readers an insight to help them in their lives. How was writing and publishing this book different from the writing and publishing experience of your first book? The last book I wrote, Brothers Stand Strong, was my very first book. I had little support and was just a learning experience from publishing the book. I had to learn about the writing and publishing business out on my own and it took time. Now, with this book, I have had time to really understand self-publishing and having control of my book without anyone taking that from me. I put a lot of time with my new book This is Dan and hope that the readers know how dedicated I was with writing the book and when it is published. My advice for any aspiring writer or upcoming writer is know what you have passion for writing. Know what you want to write and study the craft of writing. Read as many writing self-help books as you can and take notes. For young people out there going after their dreams, do what you want and continue to believe in yourself. Goodness, my favorite books and authors I love to read are I Say a Little Prayer by the late E. Lynn Harris and The Battle of Jericho by Sharon M. Draper. E. Lynn Harris and Sharon M. Draper are my favorite authors. What inspires me most is myself for going after my dreams and doing what makes me happy. I can do anything once I put my mind to it. Next for me, once my second book This is Dan is self-published this year, I want to do a documentary on my life about all the highs and lows of my life. I plan to continue writing another book and will write another memoir on my life when I get older. Anyone reading this, make sure you all follow my social media sites online and see what I am up to. Add or follow me on Facebook: Daniel Ray Williams. You know that feeling of having butterflies in your stomach? The first one flapped its wings when I saw my manuscript title by a mentor’s name, the second when I met my fellow mentees, the third when I received an email from my mentor where she said she loved my pages. Then it was continuous flapping, hundreds of butterflies all at once. I still can’t count how many are left flapping their wings in my stomach, because my TeenPit experience did not only last for the one month promised--it’s stretched until today and hopefully will remain forever. TeenPit is a writing contest designed for high school writers, where the participants submit their first 250 words and a short pitch for a chance to be paired with a mentor. You can go here to read about all the details for TeenPit 2018. And hurry up, the very brief submission window opens on March 17th. I first noticed a tweet from K. Hopkins, a PitchWars mentor, in early April about a contest for teens. It’s always hard to be taken seriously when you’re sixteen trying to find your way into the publishing industry. TeenPit sounded like the perfect chance where I could hear something more than "your writing is good for your age." I could get feedback about my writing as a writer, not as a kid, and go from there to improve. I immediately checked it out, drafted my submission email (almost a month before the submission window opened since only first 200 entries were accepted). Then one month passed fast, and the submission day came. Thanks to living on the west coast, the window opened at five in the morning, and more thanks to the flat tire in the middle of the road the night before, I’d just come home, meaning my brain was perfectly functioning. I was able to send the email… well, with one very embarrassing mistake which ate me up the entire time I waited for the results. I wasn’t going to be picked. I couldn’t be. I sent an email in Comic Sans. They would delete it before they read it. The mentor teasers started a few hours before the results were posted. My impostor syndrome, for those few hours, seemed weaker than my high hopes. However, my hopes were right. My manuscript title was there, in the list of those that made it to the mentor round. A few rounds of screaming contest (to relieve the excitement) with my chickens later, I sat down to relax and take time to believe my eyes. Only then was I able to open the email from my mentor, Kristen Lepionka, author of the Roxane Weary mystery series. It was greetings, introductions, "I love your voice" and gifs. That was all that was needed, to know that the first two chapters of my manuscript and I were in good hands. The next thing I needed was to listen, understand, and be open to making changes in my manuscript. That’s what I did. In between school, senior activities and tons of essays, I knew to give my manuscript some time to edit it. I read her notes and edited. And edited. Scenes, characters, lines—everything. It was sending those twenty pages back and forth, more polished each time until we both looked at it and thought, "That looks about perfect." The final edits were sent in, and now it was time to wait again. The top picks were announced, they were going to go straight to PitchWars, where they’d work with mentors for two months before their entries went up for agent showcase. In that one month, and all the months afterwards, I’ve become friends with the mentees from TeenPit Class of '17, a group of talented teen writers who are still there for each other. In between edits and gifs, I realized Kristen was more than a mentor. Can I call her my fairy godmother? She’s there to help get me through--from her amazing feedback and edits, to fighting impostor syndrome, or whatever is in the way. TeenPit is so much more than the contest itself. It is a community, filled with love and support that doesn’t go away when the contest is over. Note from Dallas: I hope you enter TeenPit 2018! Here are all the details. Today I am thrilled to introduce you to my dear friend and fabulous poet E.K. Baer, who has recently released her first collection of poetry! It was one of my favorite books of 2017 and one that I think will delight and inspire all readers, young and old. E.K. was kind enough to stop by the blog today to answer a few questions about her writing process, how she finds inspiration, and the steps she took to get published. Enjoy! 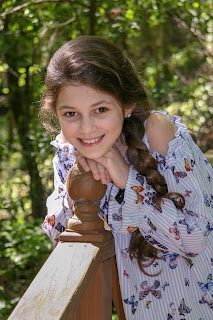 My name is E.K, I am 10-years old and I am from Atlanta, Georgia. My best friend is my cuddly dog Coco who inspires me to do silly stuff. I has been writing poems ever since I can remember. Besides writing, I love to sing, play the violin and the piano. Music gives me the tempo and inspiration for my poems and helps transport me to the places that I write about. Take us through your writing process when you were creating A Collection of Poems. A Collection of Poems started as just a bunch of random poems that came to mind. Writing has always helped me with whatever problems I encountered in my life. When I was writing these poems, it was not with the intent to publish a book. The idea of making it a book formed over the course of several months. 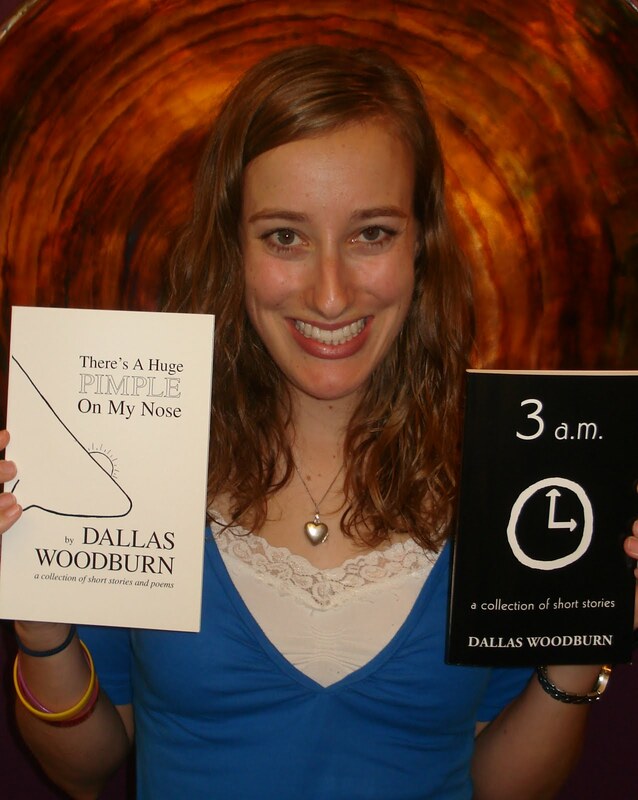 It wasn’t until I met Ms. Dallas Woodburn that the possibility of making my poems into a book became a reality. Ms. Woodburn has been such a wonderful mentor! She assisted me in editing all my poems and formatting the book. This collection took me a couple of years to write, edit and publish. I am now thrilled to share it and I hope you enjoy my poems. What I like most about writing is how it is a way to organize your thoughts, to put your life and dreams into a legible form, to spread your creations with the world. Writing is a freeing experience – the satisfaction after your mind races around with inspiration is tranquilizing. What I found quite surprising was the amount of work and time that went into publishing just when I thought I was done. ☺ I learned a lot through the whole process. It takes a lot of thought and consideration to figure out the right order of poems, an interesting cover and – hopefully – a good title! Wow, this is difficult because I myself could use some good advice! I feel like some of my best work comes from the times when I do not worry about what other people think or do and when I simply focus on what I am currently writing. I find that it helps me when I can let go of the outside world. I would like to hope that I write some of my best poems when I am ready to describe all my feelings and experiences with pure honesty. I hope that it makes my poems into stories that other people can relate to. I once received a helpful advice about entering my work into contests. The suggestion was to try and put it out of my mind as soon as I click “submit” and try to forget about it. That way I can go on and focus on new work. It is not easy, though, because we are putting ourselves out there every time we share our work. I am still working on it myself. Currently, I am working on poems for my next book, which I hope to publish very soon! I also continue to submit my poems and short stories to various competitions. Thank you for your interest in my new book. I wish everyone the best of luck. Always follow your dreams and never give up! Order your own copy of A Collection of Poems on Amazon. Chicken Soup for the Soul: Thanks Mom! Chicken Soup for the Soul: Think Positive!